The curious case of Mr Brainwash. I finally got to see Exit Through The Gift Shop, Banksy’s doc on Thierry Guetta’s doc on him. I loved the film and found it thoughtful and provocative. sense of it. 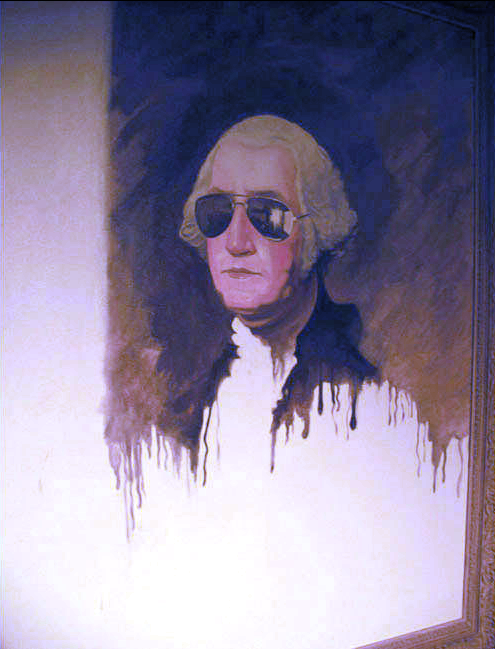 Banksy stepped in and did just that—and impressively so. But in the process he helped to create a monster of a sort, when Guetta transformed into Mr Brainwash. A kind of art hispter gone really, really bad. Banksy encouraged Guetta to become an artist himself. Guetta did just that, depending on how you define ‘artist’ these days. He definitely has established himself as a commercial success. So the question becomes: what do you make of what he has done? Is it really art? Is it pure sellout? In truth it is a curious, if disappointing, hybrid. This of kind of work is utterly derivative. The worst abuse of irony we have yet seen. Guetta seems to be totally sincere in his passion for the artists he followed, and in the pursuit of his own emergence as an artist, but something very important got lost in translation. 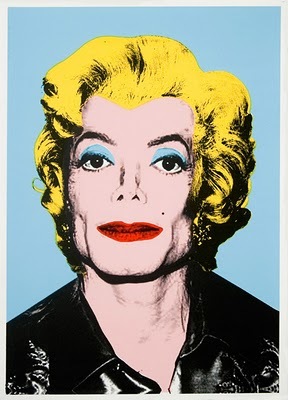 He may have been inspired by Shepard Fairey and Banksy and other street artists, but he has become more like Mark Kostobi or Jeff Koons—definitely in the lineage of art monsters begat by Warhol. This is not a slight to Warhol. He was the original, and he remains the most relevant of this line of artists. Like art whores before him, Mr Brainwash employs a leigon of crafts people to produce his art for him. On the surface Mr Brainwash is copying the styles of the artists he admires, and at his best approaches interesting territory but ultimately falls short of actually saying anything most of the time. The artists he helped and who helped create him aren’t sure what to make of him, and other street artists don’t feel he is legitimate, yet he has been embraced by the general public and the art market. This points out a sharp falsehood on the part of many art collectors and some dealers and perhaps fewer critics. Many like what they are told to like or are expected to like. They often can’t tell the difference between an authentic piece and a copy. When I went to MBW’s massive Life is Beautiful exhibit here in L.A. in 2008, I was overwhelmed… there was an explosion of ideas- some stunning installation pieces and some interesting work—but there was something that didn’t sit right. They were all visually ironic at first glance… but with no real point. Like much of the food product that lines the shelves of corporate grocery stores, there was nice packaging but little or no substance.